Spinocerebellar Ataxia Research | Medical Marijuana Inc.
Spinocerebellar ataxia is a group of inherited genetic disorders that cause the degeneration of the brain’s cerebellum. Studies have shown cannabis offers neuroprotective effects, therefore potentially limiting the progression of the disorder, and can help patients manage pain and spasms. Spinocerebellar ataxia (SCA) is a group of progressive and degenerative genetic diseases that cause movement problems. There are many different types of spinocerebellar ataxia, each of which causes the cerebellum to degenerate that in turn causes a loss in muscle coordination. Most cases of spinocerebellar ataxia are hereditary. Spinocerebellar ataxia can develop in people of all ages. Symptoms usually begin with coordination and balance problems. As the disease progresses, speech and swallowing difficulties, muscle spasms and stiffness, eye muscle weakness and involuntary movement and cognitive impairment often occur. Those with SCA will also often experience numbness, tingling or pain in their limbs, uncontrolled muscle tensing, muscle wasting and muscle twitching. People with SCA live about 10 to 20 years after symptoms first appear. There is no cure for spinocerebellar ataxia and the disorder is often fatal. Treatment efforts typically focus on managing symptoms associated with the disorder and physical therapy to strengthen and reduce atrophy in muscles. While research on cannabis’ direct effect on spinocerebellar ataxia is limited, studies have shown that cannabis has neuroprotective effects, suggesting that it could potentially limit the progression of the disease. Cannabinoids suppress excitotoxicity, glial activation and oxidative injury that cause the degeneration of the neurons. They improve the function of cell’s mitochondria and activation of cellular debris clearance, further encouraging neuron health (Garcia-Arencibia, Garcia & Fernandez-Ruiz, 2009) (Lastres-Becker & Fernandez-Ruiz, 2006) (Zeissler, et al., 2013). A major cannabinoid found in cannabis, tetrahydrocannabinol (THC), has been shown to help in the treatment of Parkinson’s disease by preventing free radical damage and encouraging the formation of new mitochondria (Zeissler, et al., 2013). Cannabinoids have also shown to protect the brain in patients with Alzheimer’s disease by reducing the deleterious effects of amyloid-beta, reduce inflammation, and support the brain’s repair process by enhancing neurogenesis, or the birth of new cells (Bedse, et al., 2015). Cannabis can also help spinocerebellar ataxia patients manage the muscle spasms and pain associated with their disease. Medical cannabis has been shown to significantly improve muscle spasticity, both in mice and clinical trials (Borgelt, Franson, Nussbaum & Wang, 2013) (Baker, et al., 2000). Cannabinoids, through their interaction with the CB1 and CB2 cannabinoid receptors, help in the management of pain. These receptors regulate the release of neurotransmitter and central nervous system immune cells to manage pain levels (Woodhams, Sagar, Burston & Chapman, 2015). Studies reveal that cannabinoids are effective against both neuropathic and nociceptive pain, and have shown to help manage pain that had previously proven refractory to other treatments (Wallace, et al., 2015). Currently, only the state of Illinois has approved medical marijuana for the treatment of spinocerebellar ataxia. However, in Washington D.C., any condition can be approved for medical marijuana as long as a DC-licensed physician recommends the treatment. In addition, various other states will consider allowing medical marijuana to be used for the treatment of spinocerebellar ataxia with the recommendation from a physician. These states include: California (any debilitating illness where the medical use of marijuana has been recommended by a physician), Connecticut (other medical conditions may be approved by the Department of Consumer Protection), Massachusetts (other conditions as determined in writing by a qualifying patient’s physician), Nevada (other conditions subject to approval), Oregon (other conditions subject to approval), Rhode Island (other conditions subject to approval), and Washington (any “terminal or debilitating condition”). Seventeen states have approved medical marijuana for the treatment of spasms, which are commonly associated with spinocerebellar ataxia. These states include: Arizona, Arkansas, California, Colorado, Delaware, Florida, Hawaii, Louisiana, Maryland, Michigan, Minnesota, Montana, Nevada, New Hampshire, Oregon, Rhode Island and Washington. Smoking cannabis significantly reduced tremors, rigidity and bradykinesia. Lastres-Becker, I., and Fernandez-Ruiz, J. (2006). An overview of Parkinson’s disease and the cannabinoid system and possible benefits of cannabinoid-based treatments. Current Medicinal Chemistry, 13(30) 3705-18. Retrieved from http://www.eurekaselect.com/58342/article. NINDA Ataxias and Cerebellar or Spinocerebellar Degeneration Information Page. (2015, July 17). National Institute of Neurological Disorders and Stroke. Retrieved from http://www.ninds.nih.gov/disorders/ataxia/ataxia.htm. Spinocerebellar ataxia. (n.d.). Genes and Disease. Retrieved from http://www.ncbi.nlm.nih.gov/books/NBK22234/. 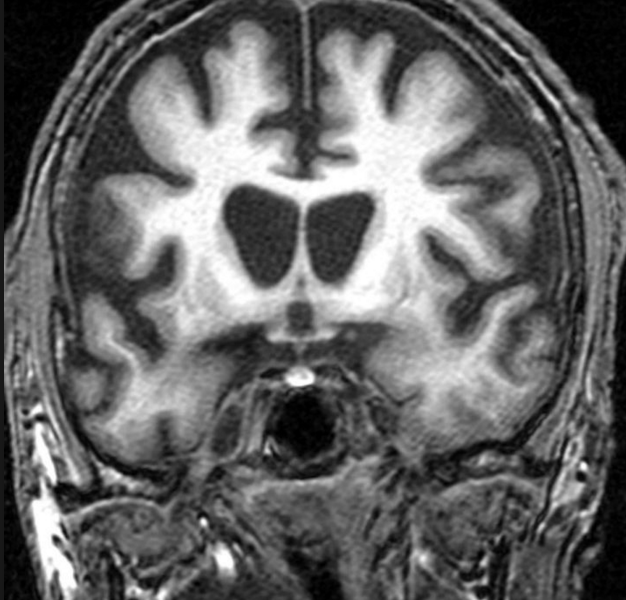 Spinocerebellar ataxia type 1. (2015, November 18). Genetics Home Reference. Retrieved from http://ghr.nlm.nih.gov/condition/spinocerebellar-ataxia-type-1. Wallace, M.S., Marcotte, T.D., Umlauf, A., Gouaux, B., and Atkinson, J.H. (2015, July). Efficacy of Inhaled Cannabis on Painful Diabetic Neuropathy. Journal of Pain, 16(7), 616-27. Retrieved from https://www.ncbi.nlm.nih.gov/pmc/articles/PMC5152762/. Zeissler, M.L., Eastwood, J., Hanemann, C.O., Zajicek,J., and Carroll, C., (2013). 9-Tetrahydrocannabinol is protective through PPARy dependent mitochondrial biogenesis in a cell culture model of Parkinson’s disease. Journal of Neurology, Neurosurgery and Psychiatry, 84. Retrieved from https://www.ncbi.nlm.nih.gov/pmc/articles/PMC5216821/.